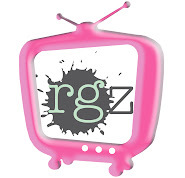 readergirlz: The 2010 NYC Teen Author Festival! Ah, the schedule! Are you coming? You should totally come. Authors read to high school students and the public in libraries across the city. the rocking tunes of Tiger Beat! Come check out Stuff for the Teen Age, The New York Public Library’s list of the hottest books, movies, music, and video games from 2009. Talk with your favorite authors. Rock out to your favorite songs. Have fun. Hear a very special presentation from keynote speaker, Libba Bray, the author of Going Bovine. 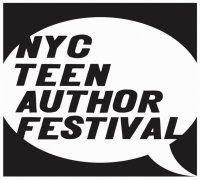 April 14: The Next Teen Author Reading Night, 6-7:30 at the Jefferson Market Branch of NYPL, 425 6th Ave, at 10th St.
oh my gosh. how amazing!!!!!!! Oh, how I wish that I didn't live in the middle of nowhere. This sounds like it's going to be amazing! Justine and I went to the Teen Author Fest last year, and it was amazing. We're in Sydney at the moment, and won't be able to make it. But I recommend it to anyone who possibly can! WOW! I WISH I WAS IN NYC!!! Sorry I missed this. Thanks for sharing anyway. Be sure to check out my new book!